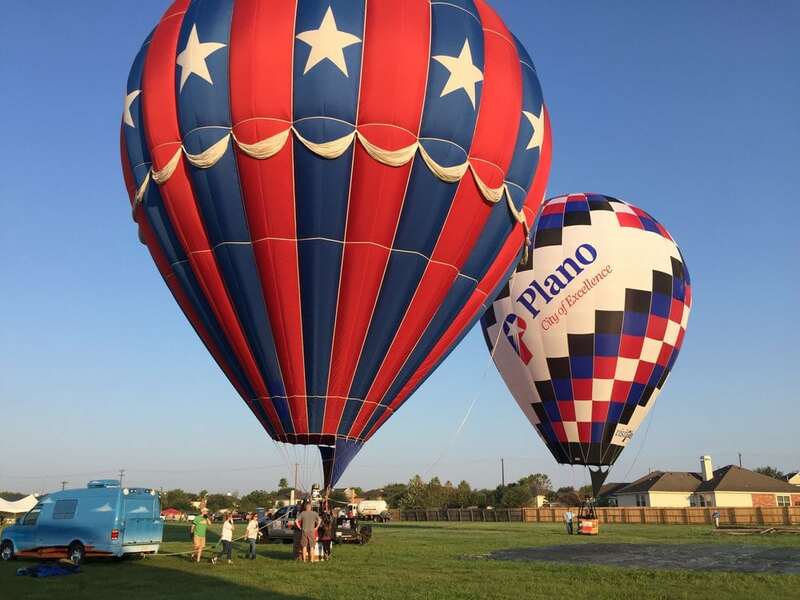 If you’re looking for a way to kick back and enjoy Labor Day weekend, the City of Kyle has just the thing — a kid-friendly, pie-focused hot air balloon festival! This exciting event is taking place just south of Austin at Lake Kyle Park on Friday, August 31 through Sunday, September 2. 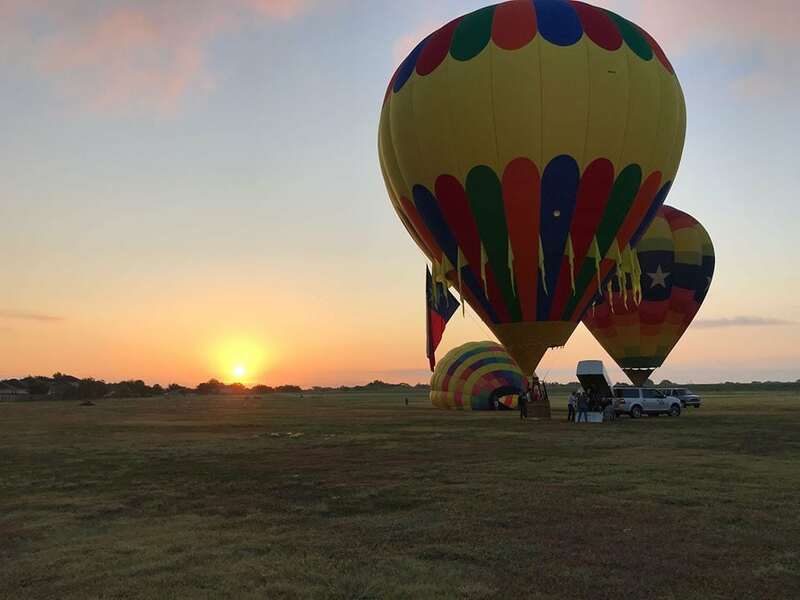 At the Kyle Pie in the Sky Hot Air Balloon Festival, over 25 hot air balloons will illuminate the sky with a balloon glow on Friday and Saturday evenings and will float over the Kyle sky on Saturday and Sunday mornings. (Of course, all events are weather permitting.) 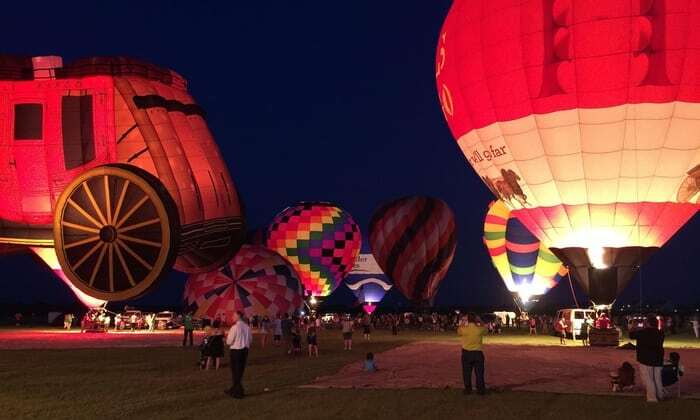 If you want to go up in a balloon, tethered rides will be available for purchase on-site for Friday and Saturday evenings. Please click here for more info. Did you know that Kyle is known as the “Pie Capital of Texas”? You’ll be sure to get your fill of delicious pies at the event! Pie vendors will be serving up both sweet and savory pies for sale. You can enter a pie baking contest or a pie eating contest, too. You’ll also be able to enjoy a kid zone, vendors, live music from Mike and the Moonpies, Jack Ingram, and other local bands to make this festival weekend complete. Friday, August 31, Evening Session: 4 – 10 p.m.
Saturday, September 1, Morning Session: 6:30 a.m. – 12 p.m.
Saturday, September 1, Evening Session: 4 – 10:30 p.m.
Sunday, September 2, Morning Session: 6:30 a.m. – 12 p.m.
Tickets: Advance tickets are $10 per a.m. session, $20 per person for a p.m. session OR $30 for a full weekend pass if you purchase online here. Note that the prices increase by $5 per person at the gate. Children ages 10 & under are free! If you prefer to get your tickets in person, you can go Kyle City Hall (100 W. Center St., Kyle, TX) and Kyle Parks & Recreation Department (700 Lehman Rd., Kyle, TX 78640) during business hours starting on August 27. Take note that in-person sales will be cash only. Is your name Kyle? If so, join the fun around 10 a.m. on Saturday, Sept. 1 as the city will host a Guinness Book of World Records attempt for the most people named “Kyle” in one location. Click here to register for this occasion. Registered participants will not only get to take part in this World Record attempt but they will also get into the festival FOR FREE and be able to go home with some awesome “Kyle” swag! From there, you can hop onto a shuttle to get to the event location (there is no charge for shuttles). Handicap parking will be located at all shuttle locations. ADA buses will be available at each parking location. More Info: To learn more about this event, please visit the Kyle Pie in the Sky website and Facebook page. –> Giveaway: We have a family 4-pack of Weekend Passes to give away to a lucky reader! Enter below. Good luck! Entering this giveaway will add you to our twice weekly email list where you can stay in-the-know about family events. This giveaway is now closed and our winner has been notified. Thanks to all who entered! Congrats to Christina C.! WoW ...i would love to go to this ???? Get Your FREE Do512 Family Austin Summer Calendar!